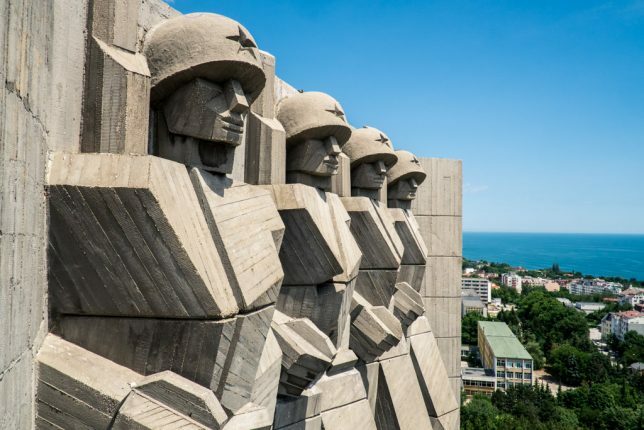 Nobody could ever accuse the Soviets of being too modest in the scale of their monuments and colossal sculptures, and they left no shortage of absolutely bonkers concrete and stone creations all over their former territories. In addition to their strange yet beautiful sculptural rural bus stops and all of abstract alien-like monuments they constructed in what was once Yugoslavia, the Soviets took pride in erecting colossal figurative statues that range from awe-inspiring to downright scary. 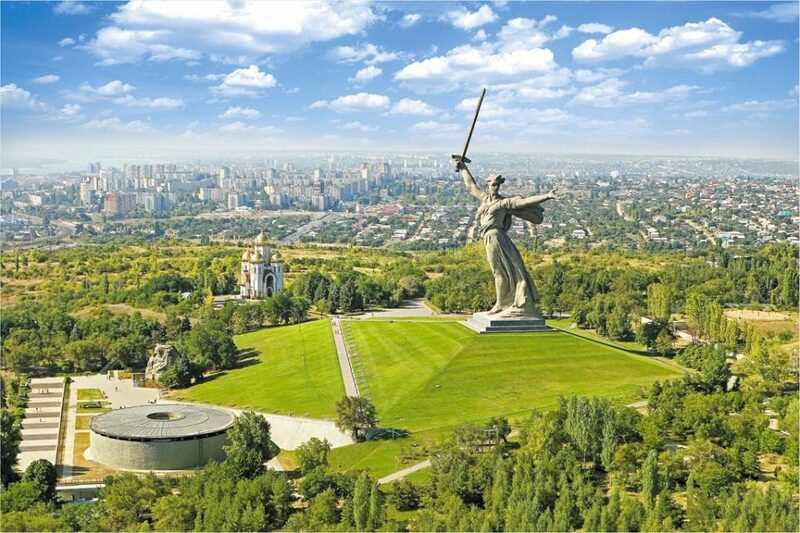 The tallest statue of a woman in the world when pedestals aren’t counted in total height, The Motherland Calls stands 279 feet from the top of its plinth to the tip of its sword, positioned on a hill near Mamayev Kurgan, Volgograd. In 1967, when it was dedicated, it was the tallest statue in the world, period. 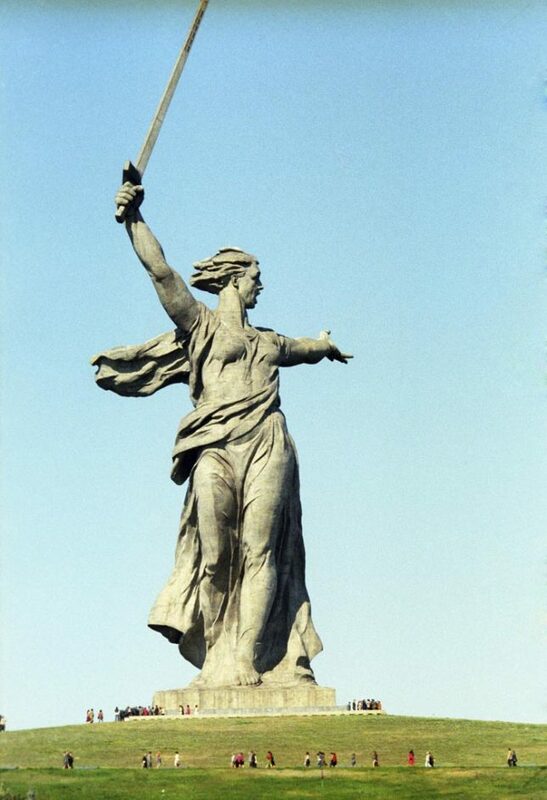 Built to commemorate the Battle of Stalingrad, one of the bloodiest clashes in human history, the statue is quite beautiful, but that elegant pose and the jaunty angle of the sword have proven to be a structural concern thanks to shifts in groundwater beneath it. Conservation work began in 2010 to ensure that the 7,900-ton creation remains upright despite not being fixed to its plinth. 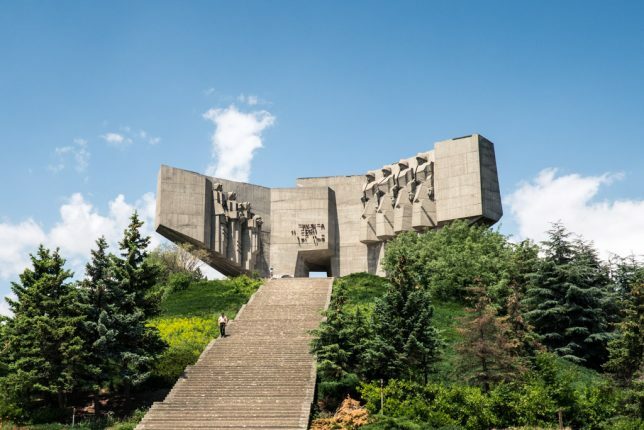 The blocky, cubist style of the figures on The Monument of the Bulgarian-Soviet Friendship is certainly distinctive, shared by a number of other Bulgarian monuments built in the same era (including the strikingly beautiful and bizarrely Transformer-like Shumen Monument). Unsurprisingly, the Russian soldiers on the right half of the monument stand taller than those of Bulgaria. 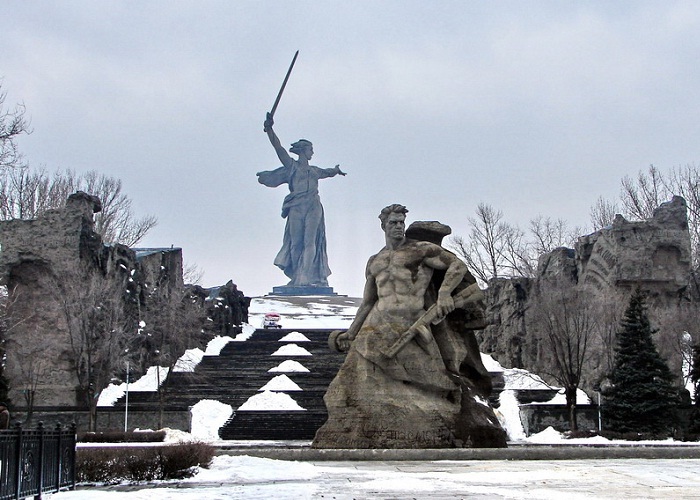 Erected on Turna Hill, a historic battleground and the mass grave of soldiers lost to the Russian-Ottoman War, the monument was once covered in bronze elements that were quickly stripped and scrapped when the Soviet Union disbanded, and it’s been abandoned ever since. 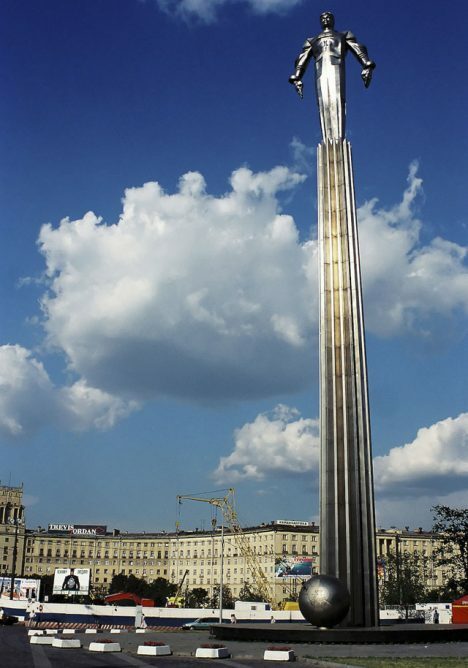 It’s made of over 10,000 tons of concrete and 1,000 tons of armature wire and was intended to be the end of a grand Communist boulevard that was never built. 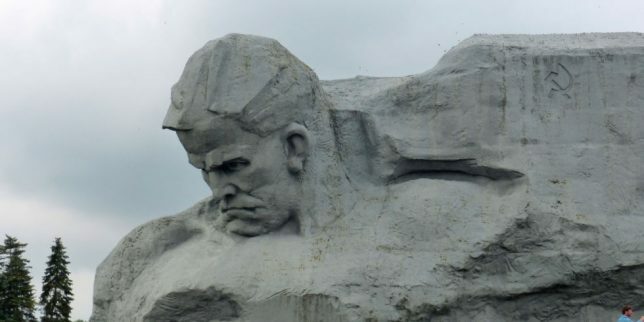 A stern stone soldier seemingly pops his colossal head out of a mound of stone to frown down at passersby visiting the ruins of Brest Fortress in Belarus, where the Red Army stubbornly held for days against a surprise Nazi attack in 1941 despite being dramatically outnumbered. A writer at CNN called the statue ugly and said it looked constipated back in 2010, and the nation of Belarus responded with outrage, noting that ‘Courage’ is a memorial to those who died. 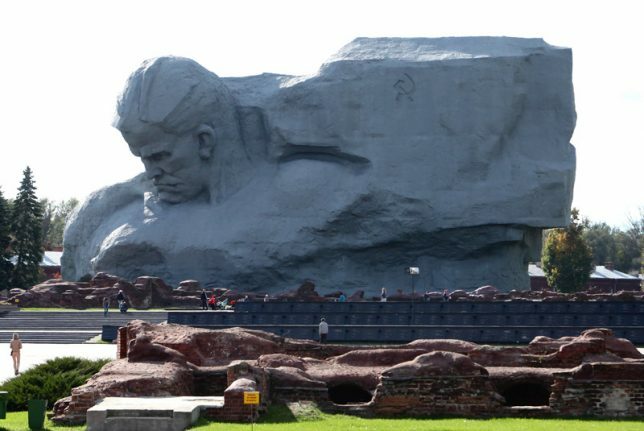 While most monuments in former Soviet territories are disused and sometimes disowned at this point, ‘Courage’ and Brest Fortress are a major point of pride for Belarus and remain a significant tourist attraction. 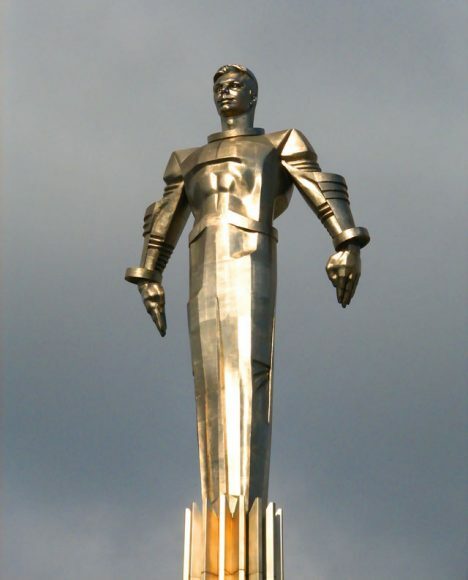 Yuri Gagarin, Soviet cosmonaut and the first man in space, gets a superhero-style commemoration in the form of a 40-foot-tall titanium statue seemingly ready to shoot off into the sky. Erected on Moscow’s Leninsky Avenue in 1980, not far from Lenin’s own mausoleum, the statue features a 90-foot granite pedestal. Gagarin’s first-ever trip to outer space lasted only 108 minutes, and though he escaped death as a backup cosmonaut for the ill-fated Soyuz-1 in 1967, he ultimately died during a routine training flight in 1968. His ashes are embedded into the wall of the Kremlin of Red Square in Moscow.